With the increasing focus of cooperation between industry and universities, co-op is more relevant than ever. 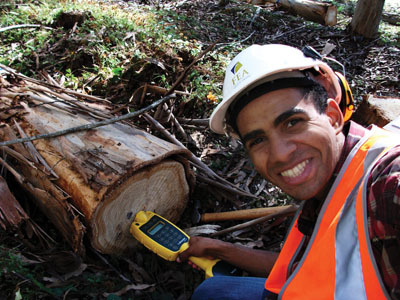 The Faculty of Forestry is dedicated to work-based learning due to the numerous benefits co-op offers. From improved curricula, increased enrollment, enhanced visibility and reputation in the community to contributing to the development of well-qualified graduates; co-op enriches the educational landscape. Hiring a co-op student allows industry to recruit and retain bright, motivated and trained workers while influencing the curriculum that forms the future workforce. Bringing fresh perspectives and the latest techniques, co-op students benefit employers while filling short and long-term human resource needs. We accept students into the Faculty of Forestry Co-op Program each year in the fall. With the September 28th, 2018 application deadline quickly approaching, now is the time to think about what co-op can do for you. In addition to building a resume with relevant, career related work experiences, you will have access to more resources, training workshops and experienced staff to help you succeed. Each year, co-op students work with conservation and forestry employers from BC, across Canada and around the world. Apply to the Faculty of Forestry Co-op Program today.